One of my good friends works for a large respected tuner shop which shall remain nameless. I was there working on a project the other day when I got to witness some stuff from the lifestyle side of our industry. Probably most of you know about the stance “movement” . Although I like a car with a good stance and good fitment of the wheels and tires, the latest trend is to take that look to the extreme. Extreme to where the performance of the car is degraded is one thing, I can see people only wanting a look, but extreme to where it is mechanically unsafe is another. Sure you can be responsible for your own demise but a car is a big responsibility because in the process of removing yourself from the gene pool, you can take others with you who don't wish to be along for the ride. 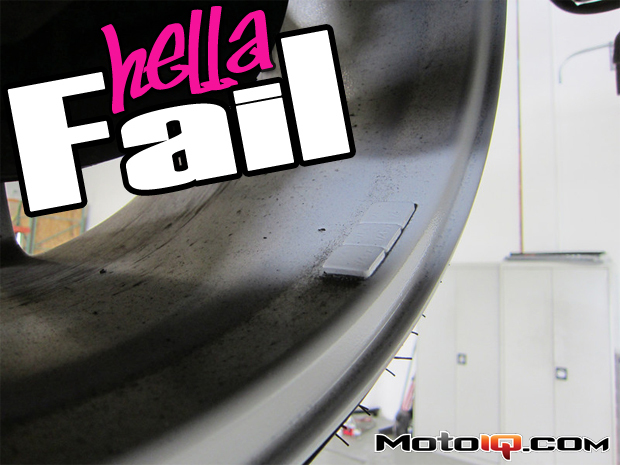 So lets see what the underneath of a super trendy Hella Flush Poke style car looks like. The latest extreme is “Poke” style. This is sort of like how lowriders stretch narrow tires on wide wheels but taken to greater extremes. This is something like a 205 tire on a 9.5 or 10″ wheel. The front wheels were almost de-beading and one of the rear wheels was starting to debead. That's dope! The car was so low the wheel lip was almost touching the fender which is about the effect desired. 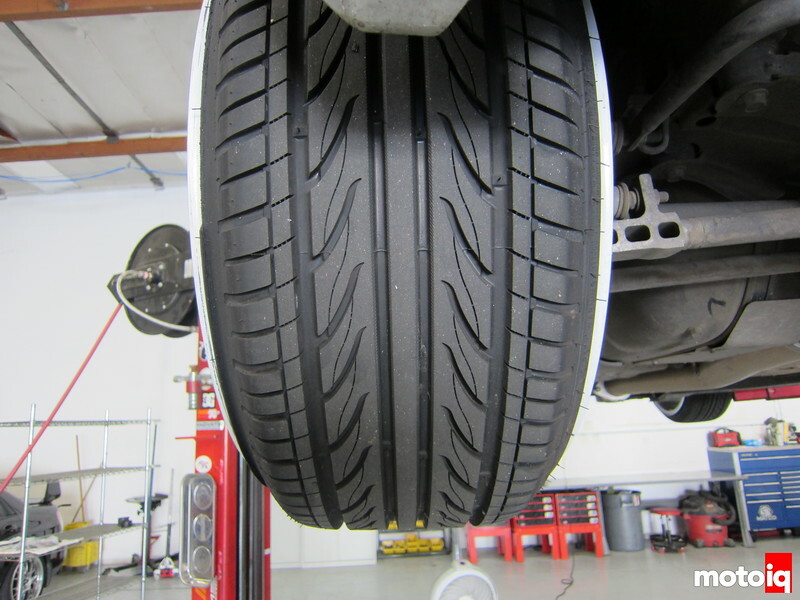 This means that if the car had suspension travel the wheel lip would smash into the fender. Good thing stuff like suspension isn't important to the Stance Nation. It's okay for function not be be but safety is another thing. The down pipe is a little worse for wear. I hope the bung for the wideband is up higher or it might read a little lean if you know what I mean. The exhaust is flattened as well. 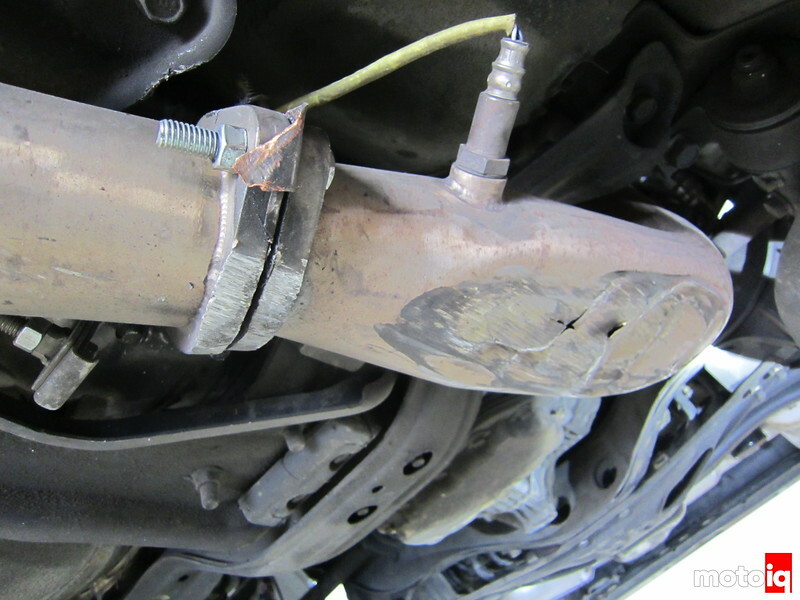 Maybe it's better to use a smaller diameter exhaust and downpipe for better clearance? I mean if you don't care about performance why have a pesky large diameter exhaust, it's just going to become smaller anyway. 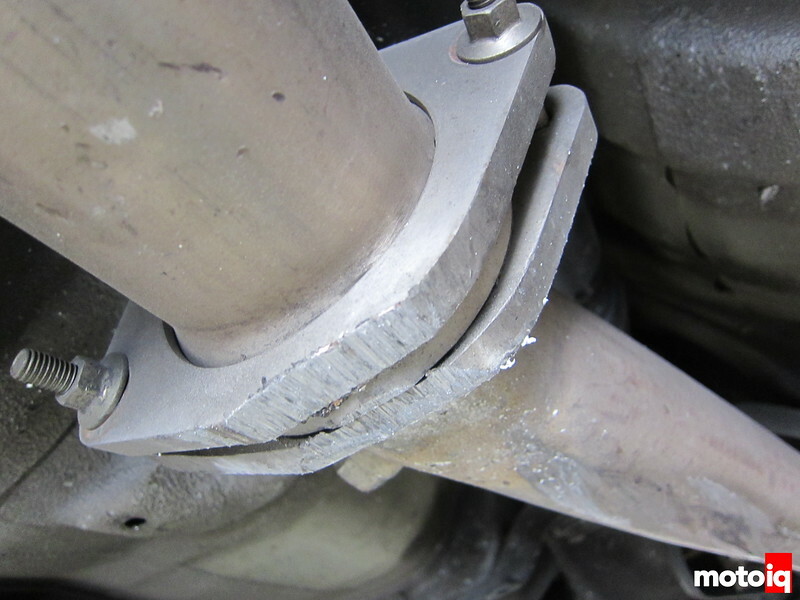 A little flange clearance grinding is no problem but the bent upwards and internally broken O2 sensor might be if you care about how your closed loop operation works. Maybe that's not important because Form>Function. 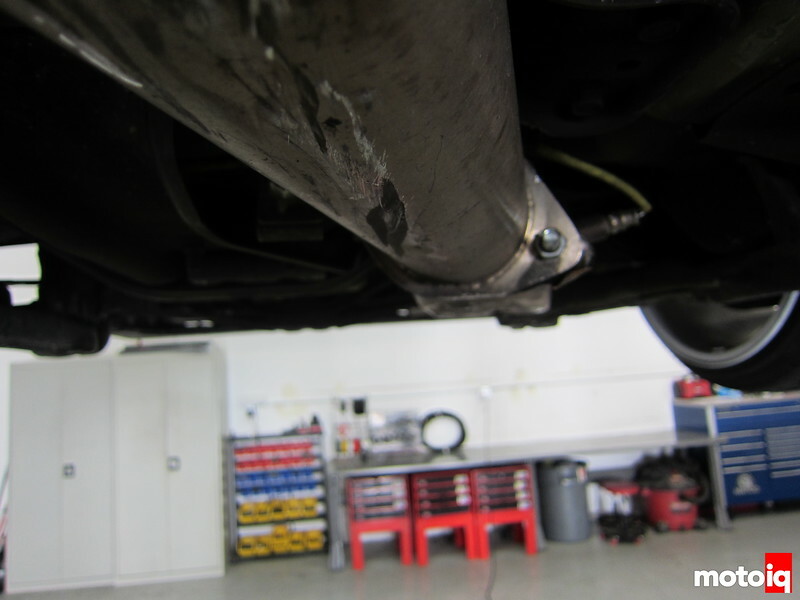 Good thing the exhaust is there to protect the chassis and transmission! Maybe more clearance grinding. More like self-clearance grinding. 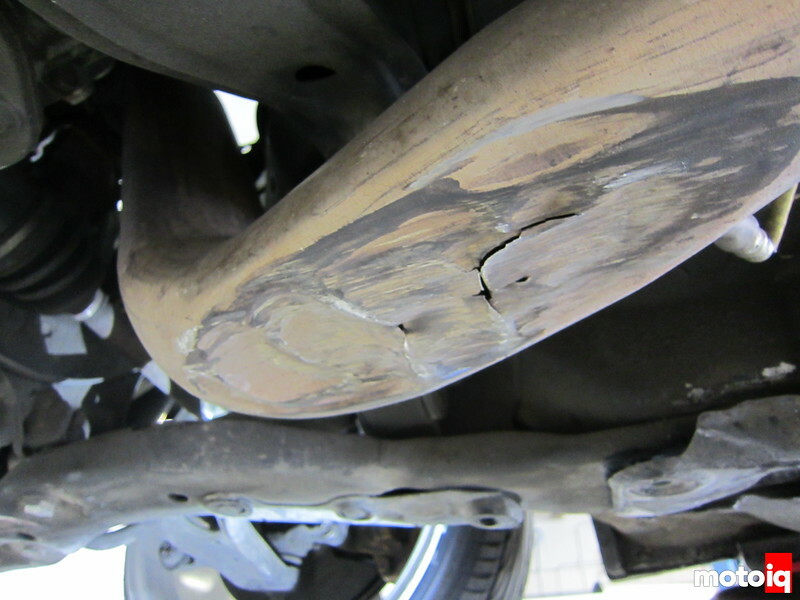 Stainless has good anti wear properties so be certain you get a stainless exhaust. The exhaust damage isn't the worst or the most dangerous, that's on the next page.